Jo Gazzaley joined Neuroscape in 2015. She started in science working in a neuroscience genetics lab while attending the University of British Columbia. After receiving her B.Sc. Biology in 2000, she left science to pursue a career in Information Technology. 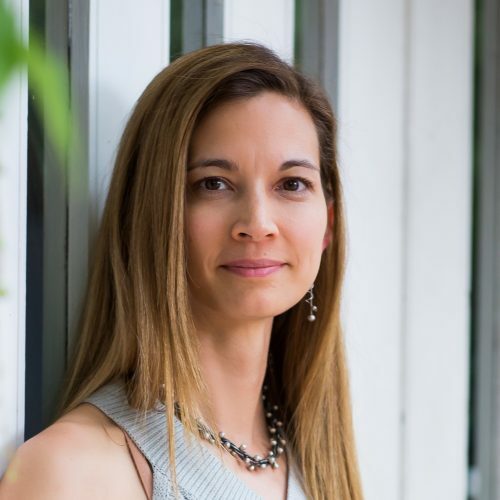 Jo joined IBM and spent several years traveling up and down the west coast as a consultant until 2007 when she accepted a position at San Francisco State University and became the Senior IT Director. Meeting Adam in 2009 rekindled her interest in science and the brain. In 2015 she was excited to have the opportunity to connect her early years in biology with her current expertise in technology and joined the Gazzaley lab to assist with the transition from a lab to a center, Neuroscape. In her current position as Facilitator, Jo is involved in many different areas including creating and maintaining the website, coordinating the global academic affiliation: Neuroscape Alliance, helping to manage and steward the membership philanthropy club: Neuroscape Network, and assisting with technology design, development, and project management across the center.